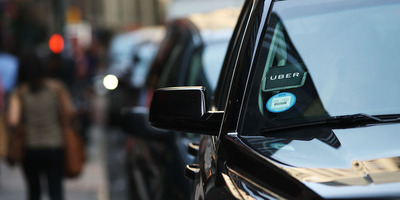 Spencer Platt/Getty ImagesA car making trips for Uber. The complaint also says the woman was charged more than $US1,000 for the journey. Google MapsA map showing the locations described in the complaint. It says the woman was picked up in New York City, asked to go to White Plains, New York, and ultimately found herself in Branford, Connecticut. The complaint says that when the woman reported the incident the following day, she learned she had been charged more than $US1,000 for a trip from New York to Massachusetts. Uber says it refunded the money. “What’s been reported is horrible and something no person should go through,” an Uber spokesman said in a statement to Business Insider.